Happy 11th Birthday Rock n Roll Bride! Win the Ultimate Anti-Bride Prize Pack! October 2007 was when I first started writing about weddings on the internet. As a newly engaged 23-year-old I was quickly disillusioned with the wedding world that I was presented with and although Gareth and I didn’t really know what we wanted for our wedding, we knew we didn’t want any of what the wedding magazines were showing us. Spend £30k? Travel in a horse and carriage? Wear a big poofy strapless dress and designer shoes? NO THANK YOU. So, I started this blog to document planning our ‘alternative’ route to the alter. Looking back, and somewhat ironically, our wedding didn’t end up being that alternative really (after all, we didn’t have Rock n Roll Bride to guide us!) but what this toe-dip into blogging did teach me is that I was quickly obsessed with finding and re-sharing weddings that sauntered off the beaten path, weddings that showed the personality of the couple, and weddings that were, for the most part, seen as pretty ‘weird’. When I first started publishing online, I never ever considered that this could be a career (for both Gareth and myself!) and I certainly could have never in my wildest fantasies have imagined that we’d have a print magazine, I’d have written and book and I’d still be doing it ELEVEN YEARS LATER – I mean, wow! 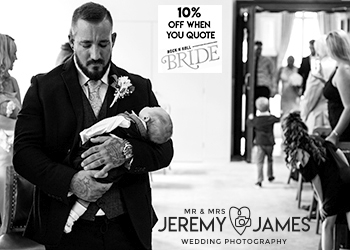 ♥ A free couple shoot with one of my favourite wedding photographers – Neil Thomas Douglas or Lisa Devlin (the winner can choose whoever they prefer, which may be based on their location). October 2007 was when I first started writing about weddings on the internet. 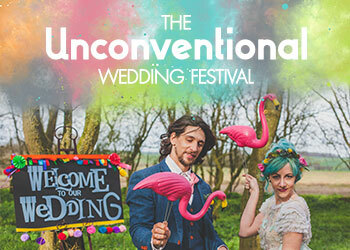 As a newly engaged 23-year-old I was quickly disillusioned with the wedding world that I was presented with and although Gareth and I didn't really know what we wanted for our wedding, we knew we didn't want any of what the wedding magazines were showing us. Spend £30k? Travel in a horse and carriage? Wear a big poofy strapless dress and designer shoes? NO THANK YOU. Styling Your Wedding Your Way with Etsy + Win a £500 Gift Card! I’m pretty sure I don’t need to convince you of the fact that Etsy is one of the best places to look for stuff for your wedding. Whatever your theme, style or budget you are definitely going to find things you love and want to incorporate into your day on their site. I’ve been buying from Etsy for as long as I can remember. I’ve bought everything from jewellery, homewares and clothing, and it’s one of the first places I look when I need to buy someone a gift. Gareth even got in on the action and ordered some art for his office recently! They really do have something for everyone. My best babe Sophie sure is clever. Crown & Glory have been synonymous with flower crowns for as long as I can remember (and they’re the only flower crowns worthy of wearing IMHO) but for spring/summer 2018 they’re offering a brand new floral bevvy to get excited about – faux floral bouquets! And the tagline, bouquets you won’t want to toss, could not be more perfect! I am a massive fan of real flowers. Fancy florist arrangements, cheap half dead stems from the Morrisons sale bin, and my house is full to the rafters with indoor plants. But when it comes to your bridal bouquet, the idea of a faux flower posy is quite frankly genius. Not only will it not wilt and fade throughout the celebrations, but it will be something you can keep forever as a memento of the day. My best babe Sophie sure is clever. Crown & Glory have been synonymous with flower crowns for as long as I can remember (and they're the only flower crowns worthy of wearing IMHO) but for spring/summer 2018 they're offering a brand new floral bevvy to get excited about - faux floral bouquets! And the tagline, bouquets you won’t want to toss, could not be more perfect! Win a Luxury Honeymoon Experience at Dar Jaguar in Marrakech! If you’ve been following me for a while then you’ll probably already know that Marrakech is one of my favourite cities. The colour, the people, culture, the shopping… it’s just heaven. The medina is crazy busy and, at times, a little overwhelming, but there is also much more to do here than just shop. There are beautiful, colourful gardens all over the city, rooftop terraces with spectacular views and hammams to get the scrub down of your life in! You will come home with a suitcase full of spices and colourful homewares, hands covered in henna and hearts full with all the joy of Morocco! Yes, the culture is very different to the UK and it can be slightly unnerving on your first visit, but if you throw yourself into it wholeheartedly, I know you’ll fall in love with it too. And with flights from the UK costing as little as £100 and the flight time less than 3 hours, it’s the perfect honeymoon spot for Rock n Roll brides. In fact, I love Marrakech so much I’ve been four times in as many years, and yes, I do plan to go back later this year too. You can’t keep me away! On two of my four trips I’ve stayed at Dar Jaguar, owned by British designer Lucia Silver, and it’s fast become one of my highlights of each visit. The riad is decorated in Lucia’s eclectic style and includes a leopard print entrance-way, four poster beds and enormous locally-made chandeliers. Each room has its own theme and the honeymoon suite, The State of Grace, features ebony walls, hand-carved details, a romantic balcony overlooking the courtyard, an open fireplace and a golden bathtub! There’s a bubbling fountain in the middle of the courtyard which has multi-coloured rose petals floating in it 24/7. And the plunge pool, complete with yet another chandelier hanging above it, is the perfect spot for cooling down after a long day wandering in the medina or riding camels! The staff, Fatiha, Khalid and Fatima, are also some of the kindest, loveliest people I’ve ever met. Nothing is too much trouble (Khalid actually once helped us try to order a pizza when it was all we wanted to eat and Fatiha helped me RUSH through the medina when I was late for my flight home!!) Plus the food they make is some of the most delicious I’ve ever eaten. If you've been following me for a while then you'll probably already know that Marrakech is one of my favourite cities. The colour, the people, culture, the shopping... it's just heaven. The medina is crazy busy and, at times, a little overwhelming, but there is so also much more to do here than just shop. There are beautiful, colourful gardens all over the city, rooftop terraces with spectacular views and hammams to get the scrub down of your life in! You will come home with a suitcase full of spices and colourful homewares, hands covered in henna and hearts full with all the joy of Morocco! 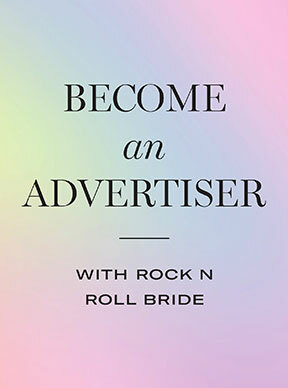 Win a Rock n Roll Bride x Veronica Dearly Wedding Planner! I am in full-on ‘totally psyched for the year ahead’ mode right now. I’ve got a bunch of new projects in the works and I’m feeling all together really positive about 2018 and what it might hold. A lot in part to all your incredibly kind comments on last week’s post about the future of Rock n Roll Bride. You really have no idea how happy reading all those replies made me. So, to celebrate this new-found feeling of joy, I’ve decided to drop a surprise giveaway on you. It’s just my way of saying thank you for all being so wonderful. I’ve partnered with my babe Veronica Dearly to give THREE lucky readers a Rock n Roll Bride x Veronica Dearly prize package including the wedding planner, a two pins of their choice. I am so proud of the wedding planner, and I know it’s really going to help you when organising your alternative wedding. Why? Because I wrote the damn thing (haha)! But in all seriousness, I’ve put all my insider wedding planning knowledge into it so if you’re foundering or don’t know what the hell you need to do, this is the next best thing to having me on speed dial. The planner comes in a super fancy A5 ring binder and is going to make you so damn organised you won’t know what to do with yourself. It’s broken up into four sections: Calendar and Timeline, The Nitty Gritty, Fun Stuff and Notes. The 12 month calendar is where you’ll jot down all your appointments and generally plan your life (it’s date-free meaning you can start using it right away), and the planning timeline will let you know what to do and when. There’s even a budget checklist to keep you on track. The Nitty Gritty section is where we get down and dirty with every aspect of the planning process. I’ve shared my tips for each important bit (from choosing your dress, writing your invites, managing your guest list and RSVPs, choosing your cake/ flowers/ decor etc) and I’ve even written you some madlibs to make writing your own vows a breeze. I am in full-on 'totally psyched for the year ahead' mode right now. I've got a bunch of new projects in the works and I'm feeling all together really positive about 2018 and what it might hold. A lot in part to all your incredibly kind comments on last week's post about the future of Rock n Roll Bride. You really have no idea how happy reading all those replies made me.